The City of Oakland is implementing a Road Diet on Grand Avenue from Elwood Avenue to Jean Street. The project will improve safety for all road users. The two existing travel lanes in each direction will be changed to one vehicle lane and a bicycle lane each way, and a center two-way left turn lane. 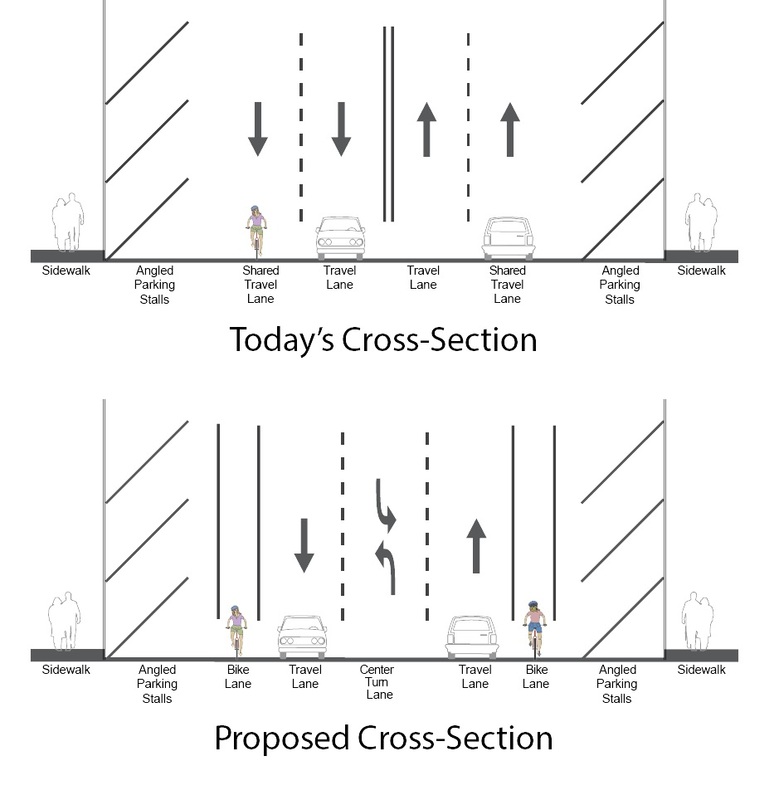 Please see the street cross-section below.